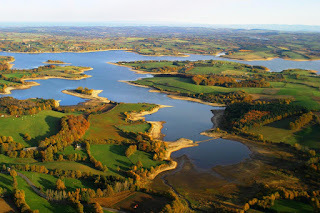 The current world record common carp has been found dead recently at French fishery Etang la Saussaie. In april the huge common broke the world record with a weight of 100lb 8oz. Many records were broken last year, and many famous carp have died just recently unfortunately. Last year we wrote about the well known German common carp Mary breaking the world record common carp. That record was broken in April 2013 with the capture of another giant from French fishery Etang la Saussaie with a new world record common carp weight of 100lb 8oz. This fis now has been found dead just three months after breaking the world record. 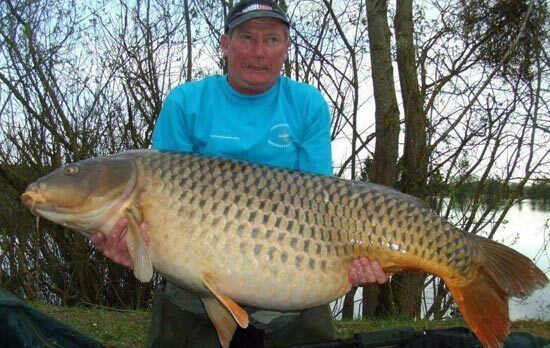 The sad thing is that last month, in June, former world record common carp Mary from Germany was found dead as well. The picture above shows British angler Colin Smith with the current world record common carp at 100lb 8oz back in April. Since this capture the fish is said to be landed two more times. The stress caused by the three captures in just three months time would be the too much for the huge common, according to several anglers.